Bring your home’s landscape to life! Illuminate your garden paths, decks, patios, and pools with a soft, inviting glow. 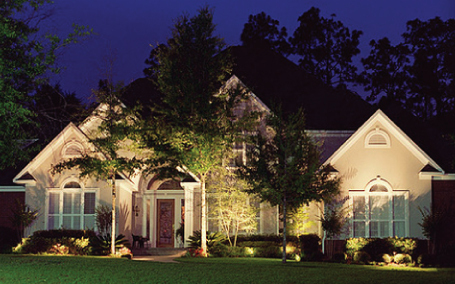 No matter the size or age of your home, when you add landscape lighting you instantly add beautiful curb appeal. 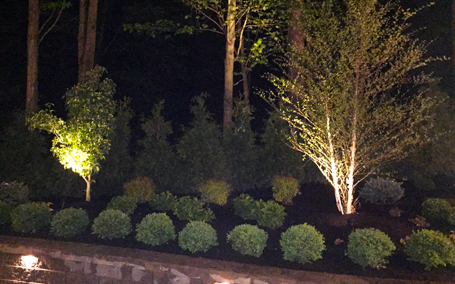 Action Lighting offers great landscape lighting design and installation services to our customers throughout Northeast Ohio. 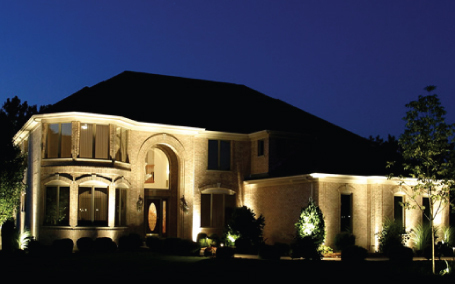 We can custom design a lighting arrangement for your layout that will illuminate your home long into the night. For over 27 years Action Irrigation & Lighting has been illuminating homes, landscapes, and businesses throughout the greater Cleveland Akron Ohio area. People choose Landscape lighting for numerous reasons. Often it is for the visual appeal but sometimes it’s purely for security and safety. No matter your reason, the professional experts at Action Lighting can help light up your house. Our professional lighting team will assess your wants and needs and come up with a beautiful lighting plan to enhance your outdoor living space or walkway. Hiring a professional will make sure all safety standards are met. Call Action Irrigation & Lighting at 216-741-1717 today to make your outdoor lighting dreams come true.